There are a number of ways for people to improve their credit score; it isn’t necessarily difficult, but a little knowledge goes a long way. The first thing to remember is that it isn’t impossible to improve a credit score quickly, and it doesn’t have to take up a massive amount of time, either. Whether the poor credit is due to defaulting on credit cards back at the age of 18, or a car loan that was too much to handle, the damage can be reversed. The following are some helpful tips to improving your credit score now. First and foremost, you should have some type of both revolving and installment debt. Lenders look at both to determine your responsibility as a borrower; together, they paint a pretty accurate picture of your debt repayment history. A credit card would be an example of a revolving debt, as the balance is constantly changing. A mortgage or auto loan would be an example of an installment debt; this is something that you pay a certain balance (usually with some interest added) over time. A student loan would also be an example of an installment debt. If you have one, but not the other, it is a great idea to get whatever is missing. In a lot of cases, people need to get a credit card, but credit card companies won’t approve the card due to a poor credit score. There are ways around this. Most credit card companies – and most financial institutions as well – have credit cards that they offer that are lower balance, with a yearly fee, specially designed for people trying to rebuild their credit. These are usually easier to obtain, and although the interest is usually higher than regular credit cards, they are great tools to rebuilding some positive credit history. Secondly, moderation is the key when it comes to credit card activity. Everyone should have credit cards, but not too few or too many. Also, credit cards should have a revolving balance, however, not too much at any one time. Having credit cards shows lenders the ability to handle your finances, and also the ability to pay back borrowed money, which is really the main idea behind a good credit score. Although many people have several credit cards, a person should have 2-3 credit cards only. Having just one credit card doesn't give lenders a large enough picture of your ability to handle your debt, whereas having too many (more than 3) shows irresponsibility. A revolving balance can be good, as long as it isn't a large percentage of your credit card limit, because financial institutions want to see recent activity. It is recommended to have a balance of not more than 10%-30% of your credit card limit in order to keep a positive rating on your credit report. So, for example, if your credit limit is $1,000, you should have between $100-$300 charged on the card. If you already have high credit card balances and you are planning to pay them off to improve your credit, the best way to do so is to pay the ones that are closest to their limits first. This way, your credit report will improve based on your percentage of debt to availability. Also, older and more established credit history is best, so take care not to close credit cards that aren't being used. Keep the balances open so that they can age, and that will boost your credit score. Lastly, make sure to check the dates of delinquency when you check your credit report. When you have a negative listing on your credit report, whether it's from a late payment or a collection, there is a date placed next to the listing, which refers to when the debt was officially delinquent. There is a legal statute of limitations put on debt collections, and it is illegal for anyone to keep a negative listing on your credit report past the statute of limitations. So, for example, the statute of limitations in Wisconsin is 6 years. Therefore, if the date of delinquency for something negative on your credit file (if you incurred the debt in Wisconsin) is from 2008, that listing MUST be removed by that date in 2014. These are Federal laws, and they are strictly enforced. When checking your credit file, take note of these dates, and make sure to let companies know if those dates are coming up, because they will most of the time just remove them if you make them aware of the issue. 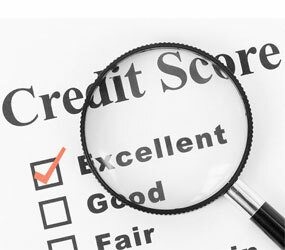 No matter what the situation, it is always feasible to improve anyone’s credit score with a few simple pointers. Taking care of these tips alone can increase anyone’s credit score dramatically. If you know you will need to obtain credit in the future, the best time to start rebuilding it is now. If you are considering buying a property or even starting a business, good credit will help you get a better rate on any money you will need to borrow. Tips was quite nice . Credit score always mandatory factor and you have solved it well.